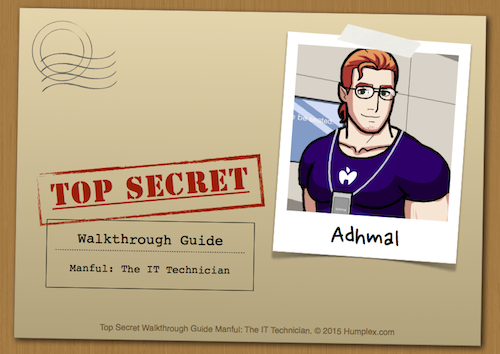 Adhmal, the IT Technician would like to help you with your gadgets...and more! Thank You very much for this beautiful collection of games! Only it seems to me it is necessary to align upper and a lower body of Techician, or to align underwear to abs?